Hidden Hills Country Club community in Jacksonville, Florida. Hidden Hills is a private golf and country club located in secluded Fort Caroline just 20 minutes from downtown Jacksonville. Founded in 1966 and completely redesigned by world renowned golfer Arnold Palmer in 1986, Hidden Hills is unsurpassed in natural beauty and is well known for its first class amenities featuring a unique championship course with rolling fairways and spectacular elevation changes that are unusual in Florida. 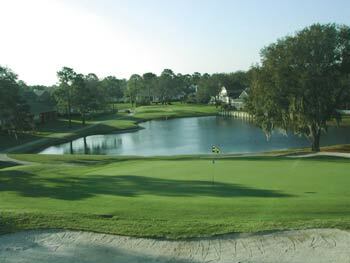 The fairways are lined with majestic oaks, towering pines and spring-fed ponds. The demand for accurate shot placement and the natural beauty of the golf course leave a lasting impression on those who play it. The course is a par-72 and measures 6,892 yards from the championship tees and 5,016 from the red tees. Hidden Hills residents enjoy a 40,000 square-foot clubhouse with panoramic view of the golf course and open-air balcony; practice facilities featuring driving range, putting & chipping greens, and practice bunkers; golf shop staffed by PGA golf professionals; and full-service dining with private banquet rooms and an experienced catering and culinary staff prepared to exceed your expectations. Homes range in price from the $500's to $700's. Call me today for a personal tour of this community.